Ceramic mug with green interior. Mug has blue, orange, mauve, and purple butterflies and dragonflies floating around. 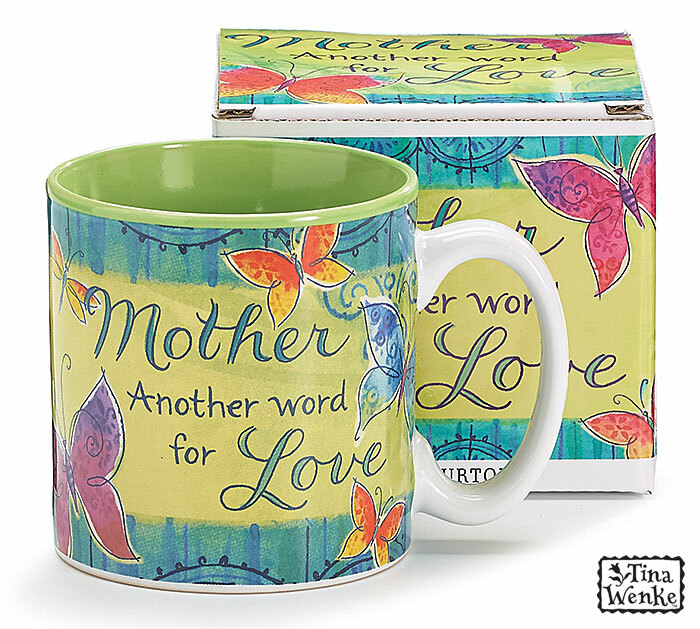 Light green background with "Mother Another word for Love" message. Gift boxed. I would give all the products that I have received a 5 star rating!